This is a emergency. I really messed things up with our finances and our mortgage. It went into foreclosure. Then I received court papers for eviction. I am so scared. Our business is in our home. My family does not know about this. 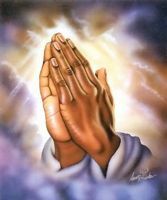 I pray to the Lord for a miracle blessing of some sort that this will be resolved in our favor and not be evicted. For the Lord to shield and protect our home. His blood to be shed around our home to be safe. I praise the Lord for His blessing and give testament to His goodness and become minister for my story of what happened and His forgiveness for what I have done and He turned my story around to goodness and blessed me to share of what I have done and to still be loved by the Lord. I pray for miracle to save home some how some way to have the wisdom and knowledge of what to do or a angel to come and help me out of this mess I created. Desperately need a miracle. Thank You for your help in prayer. For the Lord does perform miracles.